Users of Cyprus Road car park are being advised to use an alternative facility after the electrics have suffered a major failure with contractors unable to fix the problem at the moment. 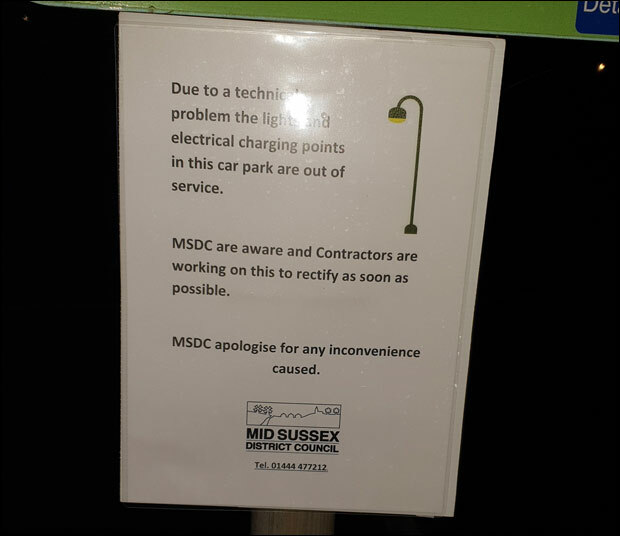 The lighting and the electric charging points failed last week, causing the car park to become a very unsafe area in the evenings at present. Your reporter was concerned when making his way back to his car following Monday evening's Burgess Hill Town Council meeting. In the darkness of night, he could have been a target for those wanting to bump off the town's only remaining 'journalist' who isn't under the spell of the ruling political party. 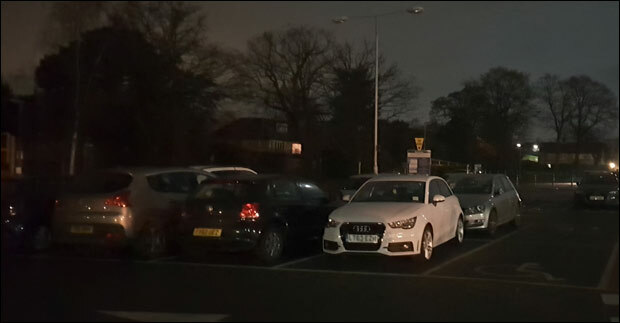 "Cyprus Road car park in Burgess Hill is currently without power due to a fault with the electricity supply. We have reported the issue to our energy supplier SSE and they are working with UK Power Networks to re-establish the connection. 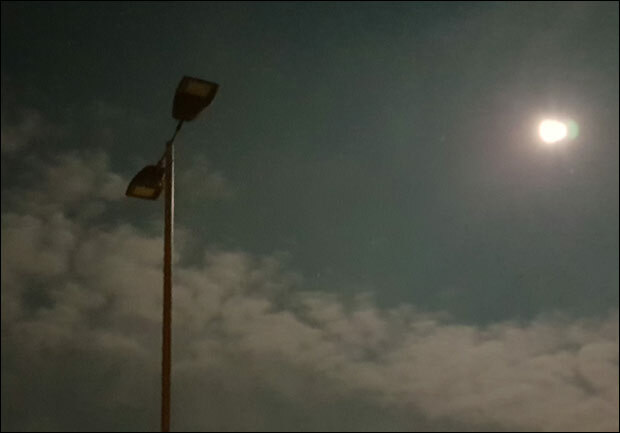 “While the power is out, there is no way to use the car park lighting or electric vehicle charging points, so you may wish to park in one of our other town centre car parks until power is restored. Have you tried to use Cyprus Road Car Park in the pitch black?